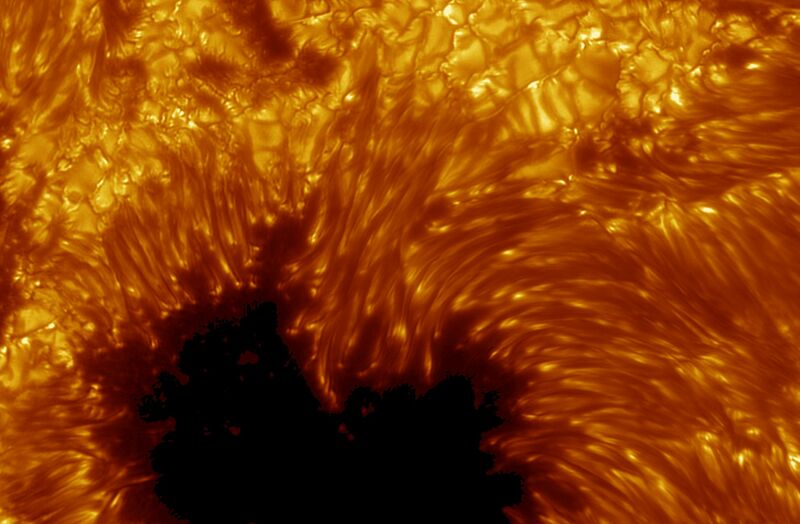 Explanation: Here is one of the sharper views of the Sun ever taken. 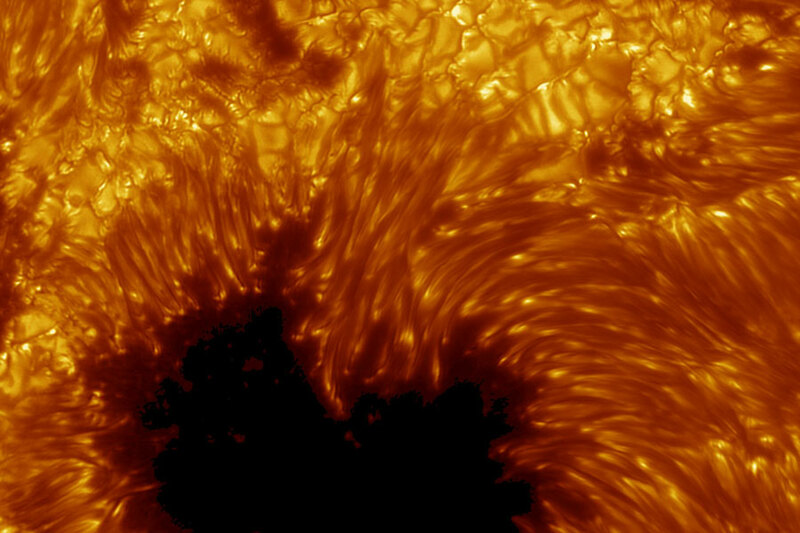 This stunning image shows remarkable details of a dark sunspot across the image bottom and numerous boiling granules which appear like kernels of corn across the top. Taken in 2002, the picture was made using the Swedish Solar Telescope operating on the Canary Island of La Palma. The high resolution image was achieved using sophisticated adaptive optics, digital image stacking, and other processing techniques to counter the blurring effect of Earth's atmosphere. Currently a sunspot group is crossing the Sun that is so large it can be easily seen by the cautious observer even without magnification.